Closing Type: Soft Closing. Drawer Material Thickness: 5/8". Extension: Full. 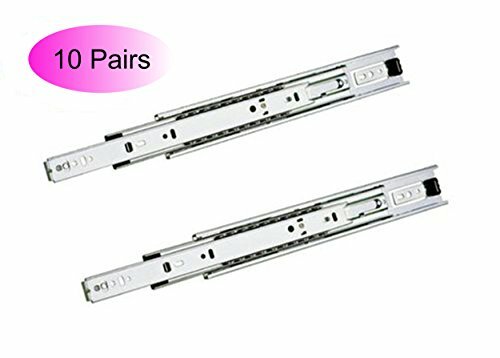 Includes: (1) pair of drawer slides & (2) Standard Locking Devices. Length: 21". Load Rating: 88 lbs. Manufacturer Series Name: Dynapro. Material: Steel. Mounting Type: Screw On. Overall Length: 21-11/16". Product Finish: Zinc Coated. 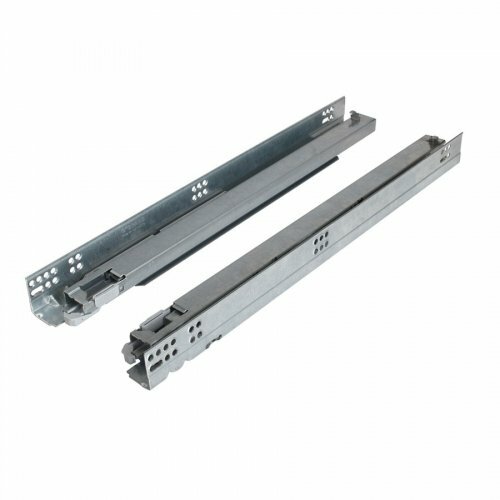 Product Type: Drawer Slide: Undermount. 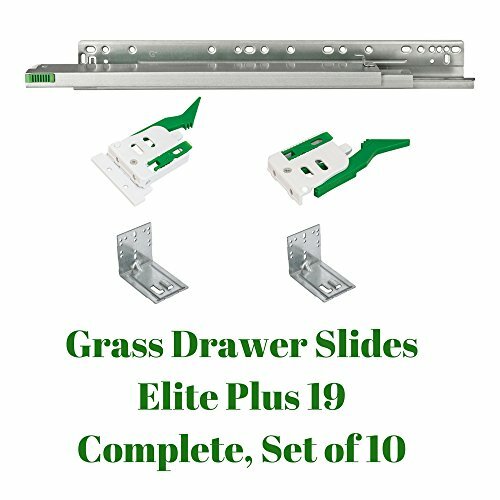 Type : Locking Devices Specialty : Locking Device Left w/ Flange • The Grass Elite features a fully concealed under mount carriage roller slide that offers full extension and a soft, self-closing feature within a range of 1-1/4" • The Airmatic shock absorber system slows the momentum of the drawer, offering a soft, quiet, easy close • Unique "air" cylinder offers high performance and reliability with no "leaking oil" pistons • Designed for 5/8" (16mm) or 3/4" (19mm) thick drawer slide material. 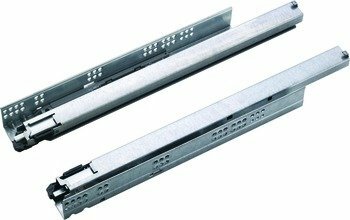 The addition of straight brackets and a plastic adjustable socket makes this drawer slide ready for face frame application • Front height adjustment is built into the front locking device Front fixing clips are sold in pairs, any quantity. 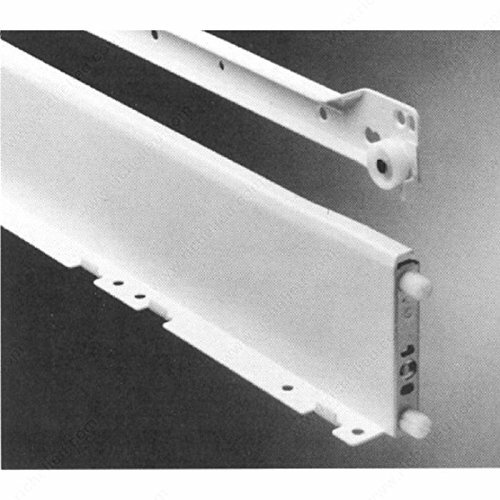 Rear brackets are sold in any quantity. Most Kitchen Cabinets have a depth of 24 inches, so 22 inches are our most sold drawer slides. Bathrooms usually have a depth of 20 inches, so 18 inches are most appropriate. Smaller lengths maybe for kitchen Islands or specific uses Please measure twice before placing your order. Measure the distance from the front edge of the cabinet to the inside face of the cabinet back and then subtract 1". 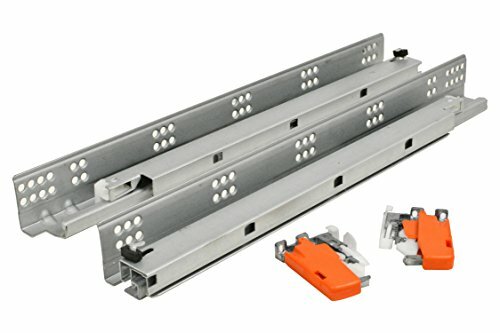 Face Frame cabinets will require a rear mounting bracket, whereas for faceless cabinets the slides are mounted directly on the side. Undermount slides measure the length of the drawer. 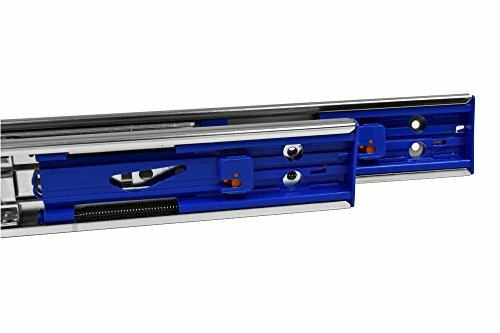 There are guides on Rockler.com or Kitchensource.com with detailed pictures for installation. If completely lost and with much work ahead, there are jigs that speed up installation. 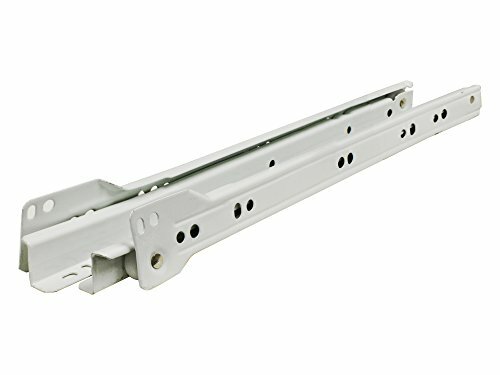 Size: 1.75" H x 13.78" W x 0.5" Dx 13.78\"
Size: 1.75" H x 11.81" W x 0.5" Dx 11.81\"
Pandora Hardware - Ball Bearing Soft Close Drawer Slides - Size 12" - 24"
NEW GRASS SELF CLOSING Light ALMOND Cream Colored DRAWER SLIDES 28"
GRASS SELF CLOSING ALMOND DRAWER SLIDES 20"